Been busy as usual with chores; such as getting the truck repaired I had the mechanics replace the heater core and fan, repair the battery hold down device. The air-conditioning just went out so it will go back in the shop tomorrow to get that repaired. 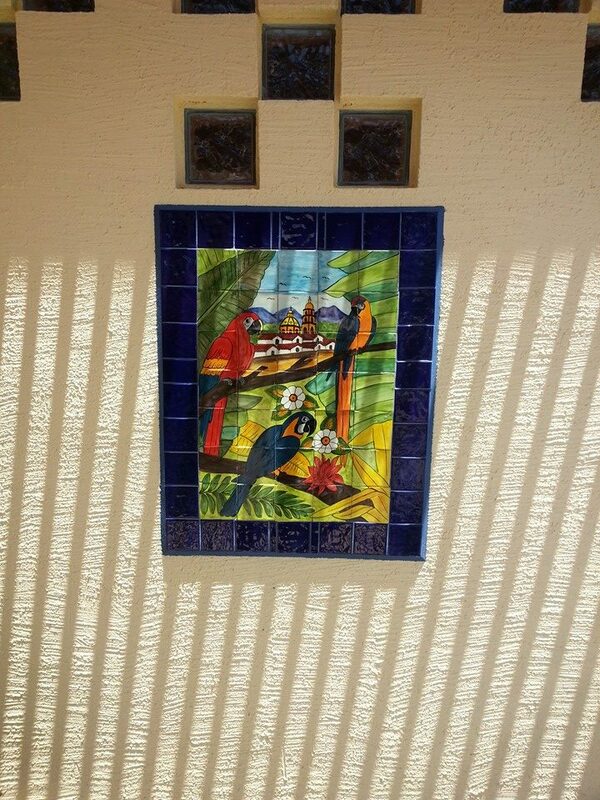 I bought a picture made of Mexican tile in Ensenada and I had a man (Jose) cement it on the house for me, photo below. 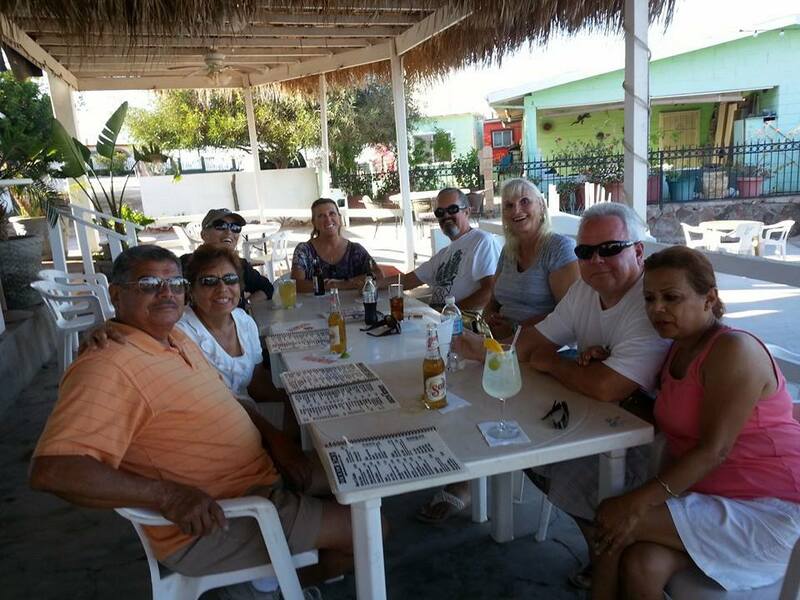 Tonight my friends and neighbors went out to dinner this evening at the Camp Cantina to wish one of our neighbors (Deb) goodbye as she is headed north for a visit for a while. This is something we do on our street when someone leaves for a while. Photo of the dinner is also below. Such a lovely evening we dinned out on the patio !